The final grade was based on three assignments and an extra credit quiz: 2 assignments worth 20% each; a final assignment worth 60% of the mark; and, an extra credit quiz worth 10 percent points on top of the average mark. To receive a Statement of Accomplishment, you have to obtain 70% of the maximum possible score. 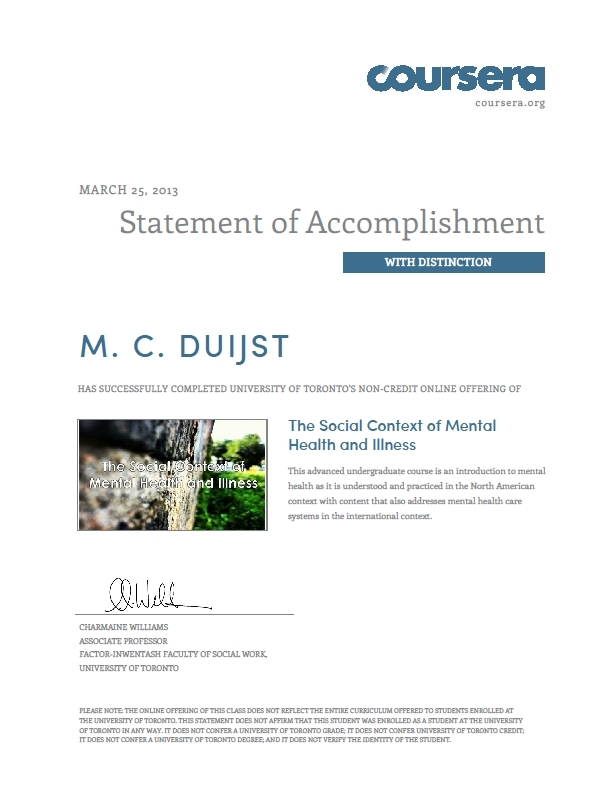 To receive a Statement of Accomplishment with Distinction, you have to obtain 80% of the maximum possible score.